Like any modern business, non-profit organizations are always being asked by their stakeholders to operate as efficiently as possible. 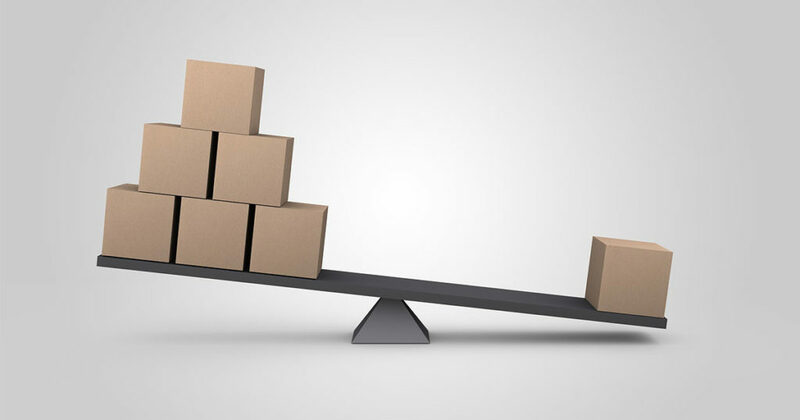 But, beyond looking at the bottom line, how do nonprofits find out which activities are efficient and which aren’t? How does a nonprofit decide which programs are the best use of their time and which may not be as valuable? No matter what, all of a nonprofit’s efforts go towards doing good, so choosing any activity over another can be an extremely difficult choice. The answer, like so many these days, is that it’s all about what you can glean from the information you have. To get the bottom of what really drives growth, successful nonprofits look at the time each activity takes then work backwards to find the ROI in their programs. When you know the true cost of a task, you can find out which activities are already efficient and which can be improved. To do that, it’s critical to have data on how much time employees spend on every task. With that information, you can more clearly understand what goes in to a project and discover how much things like writing an email campaign actually cost. Just take the salary of each person working on a given project, divide that by the number of hours they worked on the project, and you’ll be able to figure out how much you’ve paid for that activity. When you look at all of your activities and funding sources, you can really see how well your organization is performing and which funders are the most lucrative for your nonprofit. By keeping track of the time that specific programs and activities take, it becomes easier to estimate hours for projects, effectively allocate staff, and manage budgets. With all of that time tracking information at your fingertips, you can make sure that you’re focusing on the right projects, assigning the right staff, and working the right amount of time. Now that you know which activities are ultra efficient, you can probably find who on your team is an all-star. They’ll be either very efficient (low time per completed project) or very effective (high revenue per completed project). Make sure to factor in the ancillary services that play a part in every big win, so you don’t accidentally overlook anyone’s contributions to your nonprofit’s success. And if people are spending a lot of time on those ancillary services, like administration or accounting, maybe it’s time to look for ways to streamline your process. Beyond uncovering key players in your org, you can also use time tracking to find out how many people should be assigned to each project. By working backwards from the project hours, you can see if two or maybe even three people are needed to complete that big email campaign in time. If the data ends up telling you that you don’t have the staff to finish in time, then you can rationalize bringing in an outside contractor to help. Conversely, maybe the data shows that your team takes longer than you’d hope for things like design work, so you might want to consider outsourcing design jobs. Congratulations on winning that big grant you worked so hard on landing! Now it’s time to do the work you signed up for and eventually report back to your funders. And while it’s probably not as initially rewarding as actually getting out there and actively supporting your nonprofit’s mission, good reporting is what really drives lasting relationships with funders. A great report is your last chance to showcase your organization’s strengths and authority. With solid data to back up your results, it’s easier for funders to trust your nonprofit’s results and increases their desire to work with you again. By adding time tracking to your reporting, you can clearly show funders (and internal stakeholders too) that your group is a responsible, efficient steward of the financial support you receive. After all, so much of grant management begins and ends with financial responsibility. Factoring time spent on each activity into the equation will allow you to clearly show interested parties the true cost of your work, which perfectly pairs with the results of your good work. Regardless of how you look at it, time tracking should be a core component of your management philosophy if you want to make smart, data-based decisions. 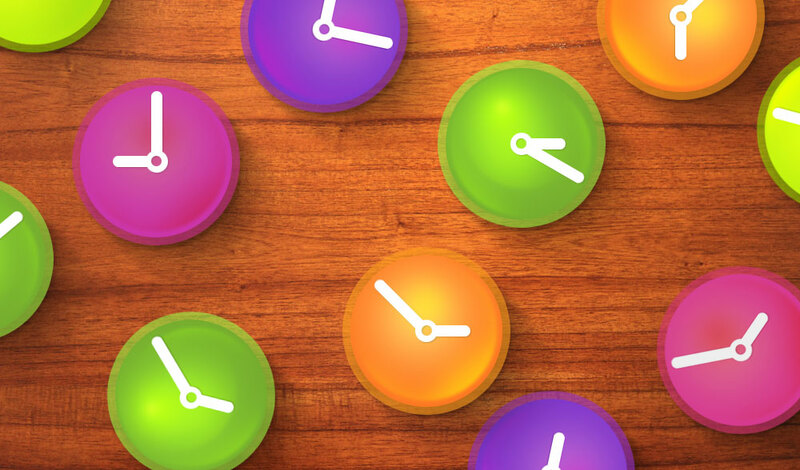 To find out more about what time tracking can do for you, try Time IQ free for 30 days. Time IQ provides an incredibly user-friendly experience at an affordable price (and offers discounts for nonprofits too). As the recently released 2017 Giving USA Report shows, there’s more money out there than ever for nonprofits. According to the report, the most respected and longest-running annual update on national philanthropic trends and statistics, charitable giving is up 1.4 percent year over year to a staggering $390.1 billion. And while individual giving makes up the largest chunk of the charitable pie, foundation and corporate giving is up too and provides an excellent (and predictable) source of support for nonprofits. Recent funders will always be excellent sources of additional support, but only if it’s worth your time. Sure, it’d be easy to chase after another huge grant like the big one you landed last year, but that doesn’t mean it was your best grant (or that it didn’t cost you too much to take on). To uncover which opportunities and funders your nonprofit should go after, it’s important to understand the true cost of your team’s work first. To get started uncovering your best funding opportunities, review the grants and other support you’ve secured over the past couple of years, looking carefully at your time tracking data for each. If you’ve been good about keeping tabs on how much time your team puts into each task, you can understand how much each activity cost your organization. By understanding the cost of each task, you can find out which programs had the best ROI and which activities your nonprofit should skip next time. Without a time tracking system in place, it’s going to be pretty hard to find out what the smart play is. If your nonprofit isn’t tracking time already, it’s probably a good idea to start now so you can start making more data-based decisions. Not only can time tracking data help management discover the true cost of each activity, it can also help with that all-important reporting piece for when you need to update funders on your activities. Time IQ offers everything businesses need for time tracking at an affordable price, and even provides a discount for nonprofits too. Your organization has a lot of strengths, but grant writing is a skill that’s hard to master and there’s a lot riding on it. 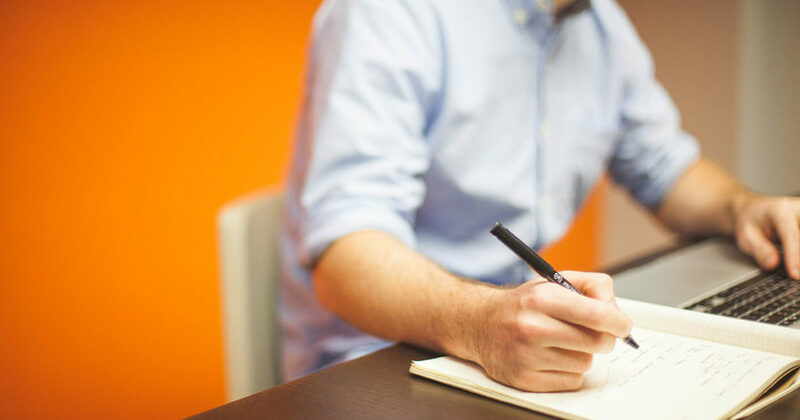 A professional grant writer can add a lot of value to any nonprofit group, but, before you start looking around for a seasoned veteran, try to identify a talented writer in your organization that has the chops to step up. After all, the people on your team already know and support your nonprofit’s mission, which cuts out a lot of the onboarding associated with a new hire or a contractor. To help your burgeoning writer reach their potential, consider offering tuition reimbursement for grant writing classes that make sense for your nonprofit. To find courses that are a good fit, look for regional programs that connect to your mission so what your writer learns is locally and topically relevant. For more tips on how to find the best grant-writing classes, read this great article from the Chronicle of Philanthropy. If no one in your group can, or wants to, take up the grant-writing mantle, hire a professional grant writer. Bringing a pro onboard doesn’t mean you’ll immediately land big grants, but, by leveraging their expertise and experience, you can significantly increase your odds of securing funding. To find a good grant writer for your nonprofit, look for someone experienced in your philanthropic arena. Ideally they’re local too, but, as long as they have experience writing successful grants for nonprofits like yours, you can fill them in on any regional issues. Newsletters. Subscribe to newsletters from funders and media relevant to your nonprofit. This one may seem obvious, but it’s often overlooked so it bears repeating. While funders will typically put out press releases announcing the opening of a new grant, their newsletter will usually have extra information that can help nonprofits write a winning grant application. RSS feeds. If a funder or philanthropic website you match well with has an RSS feed, subscribe to it. Because RSS feeds can aggregate information, it’s a great way to quickly get news that’s relevant to your nonprofit. For more info on RSS feeds, check out (and use) Feedly. Google Alerts. While not nearly as foolproof as RSS feeds or newsletters, you should make room for Google Alerts if you haven’t already. It may be a simple notification service from the search giant, but it’s also an incredibly versatile way to discover new opportunities in a variety of places—such as web pages, newspaper articles, blogs, or press releases—that can lead to new funding opportunities. This is also really useful if your chosen targets don’t have RSS feeds. To learn more about why your nonprofit needs time tracking, check out the related blog posts below. Here at Time IQ we’ve been busy coming up with ways to make your lives easier. Here are a couple of new features requested by customers that are ready to start using today! We are beginning work on a series of notification emails to your team to give you helpful information about your project activity. You may have noticed the Daily Recap emails that began sending out in the middle of the week. These will be followed shortly by weekly and monthly recap emails that should help give you a picture of where you are at with your staff and project hours each week. If you would like to have these notifications disabled for your account–just get in touch with us. Some customers have requested a way to lock down Time IQ so employees can not edit time entries, and restrict entry to a clock in, clock out, style format. 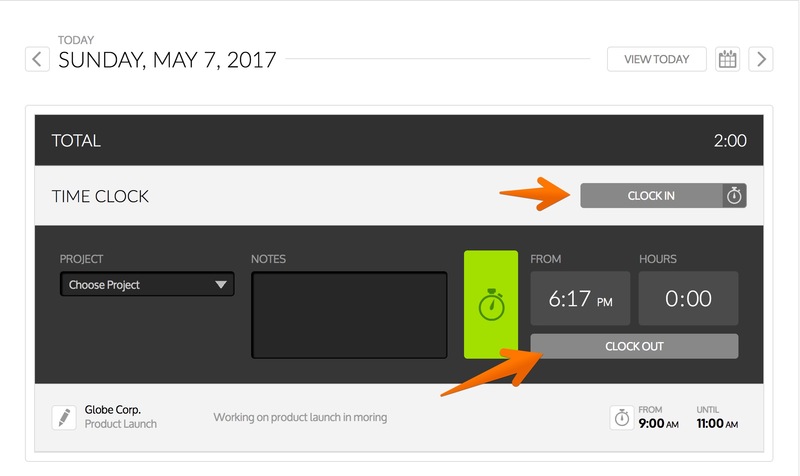 This new tracking style will present a timeclock interface for your standard users when you need to know exactly when they were working. It can be enabled from the Settings page. Visit our Knowledge Base for more information about how the Time Clock Tracking Style works. We have started working with several customers on 3rd party integrations via zapier.com and Time IQ, as well as Slack and a few other platforms that support webhooks. If you have any integration needs feel free to reach out for more info. 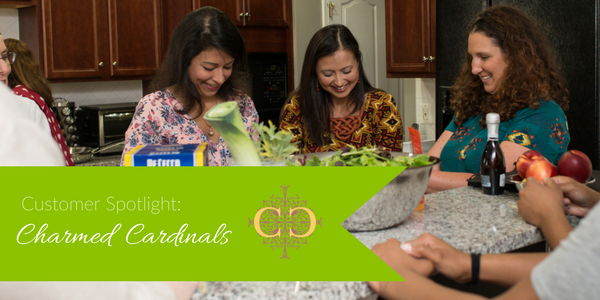 In a world where it often seems “every person for themselves” reigns supreme, Marcia Sheehan has taken that notion and turned it on its head with Charmed Cardinals- a women’s empowerment society that focuses on providing quality and thoughtful in person “me time” for overextended women. They offer a variety of events for members, and focus on helping women delve into practices that help them to reconnect with their inner selves. Charmed Cardinals also provides educational opportunities for learning and growth. As a woman and a business owner, Marcia often found herself networking with other female entrepreneurs. She describes these early meetings as feeling “sacred” to her-even if they were just gathering in a Panera, surrounded by “bagels, joggers, and families.” Marcia was “enlightened and empowered,” and realized that she wanted “every woman around [her] to feel what [she] was feeling. But on a personal level, not simply a business level.” These meetings led her see the importance of being “surrounded by positive and supportive women.” So Charmed Cardinals was born-and like all good things, Marcia wanted to be able to devote her time to it. Identifying herself as a “right brained-entrepreneur” Marcia has traditionally loved the creative aspects of owning a business, but struggled with-and even avoided tasks like tracking time. She says, “I didn’t see the value in it, and it seemed too system-y/left brained for me. Time IQ is allowing me to take my business to the next level by accurately keeping track of what I’m doing, when I’m doing it, how long it takes, and how it can be tweaked for more efficiency in the future…” Time IQ gives Marcia the freedom to focus on design and building relationships with people, while still being able to grow her brand. By “being able to accurately indicate a minimum of how much time per month they will spend”, Marcia is able to see who is up to the task of running a chapter of Charmed Cardinals, and who is falling behind. For businesses that rely heavily on independent consultants and contractors, it is essential to be able to monitor project budgets in real time. Knowing exactly how you spend your time helps you to accurately predict the areas in which you are ready to grow. It also helps your independent employees to better predict the hours they will spend on projects from week to week. Like many creative types, when she’s working on something, time can get away from her. Marcia has found that by tracking her projects in Time IQ, she “can look daily at how much time [she’s] spending on each project and then plan accordingly.” This has helped her increase her productivity, and given her more time for the things she’s passionate about. Are you and your team ready to try Time IQ? Click Here to start your free 30 day trial.